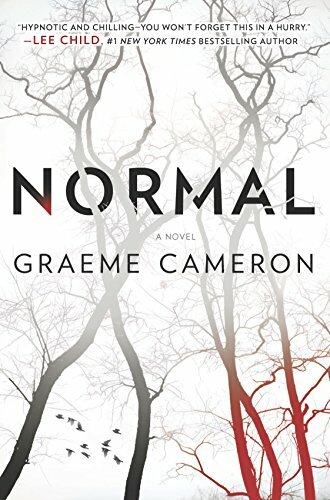 Normal by Graeme Conrad (Harlequin MIRA-March 31st, 2015) – He’s your neighbor. The guy you see wandering the aisles of your grocery store, buying frozen peas and frowning over packages of pork chops. He’s the guy at the gas pump, wrestling with the nozzle. He is normal. Except he’s not. Because he’s the guy responsible for the disappearances of who knows how many women. He’s the guy who locks a girl in a cage and then lets her out, only to hunt her down with a bow and arrow. He screws with her mind before he screws her over. Then he meets Caroline, and she’s Here To Help, and he’s screwed. Normal is a delightfully, sickeningly twisted story. We never know the narrator’s name. He’s got an elaborate and carefully constructed life. The cage in the basement contains his latest toy, keeping her in relative comfort until he’s ready to play. There’s a bed and a sink and a toilet. He thoughtfully prepares meals for his visitors. And when he’s when it’s time for the game to begin, he gives the toy a sliver of hope: if she can make it to the motorway, she’s free. What she doesn’t know is just how well he understands the woods surrounding his home. Poor girl never stood a chance. That elaborate and carefully constructed life starts to fall apart when he abducts Erika. In hindsight, taking her probably wasn’t the smartest move, because she’s just as psychotic as he is. Possibly more so. The way Erika switches back and forth from frightened to frighteningly in control is fun and intriguing to watch. You know he’s met his match, and you wonder how long it’ll take him to figure it out. What didn’t quite come off for me was how Caroline (whose name is actually Rachel; read the book and you’ll understand why) affected him. The narrator lost some of his credibility toward the end. His particular psychosis isn’t one that’s likely to change. It’s as much a part of his DNA as his hair color. It’s an interesting take on a serial killer that doesn’t quite hit the mark for me – but reaches the high notes everywhere else. The chase, the set up, seeing Erika evolve into who she’s truly meant to be…it’s absolutely worth the read.